Do you want to learn an Irish or Scottish dance? Or listen to a wonderful story? Or maybe you’ve always wanted to hold the bagpipes and see if you can get a sound out of it. 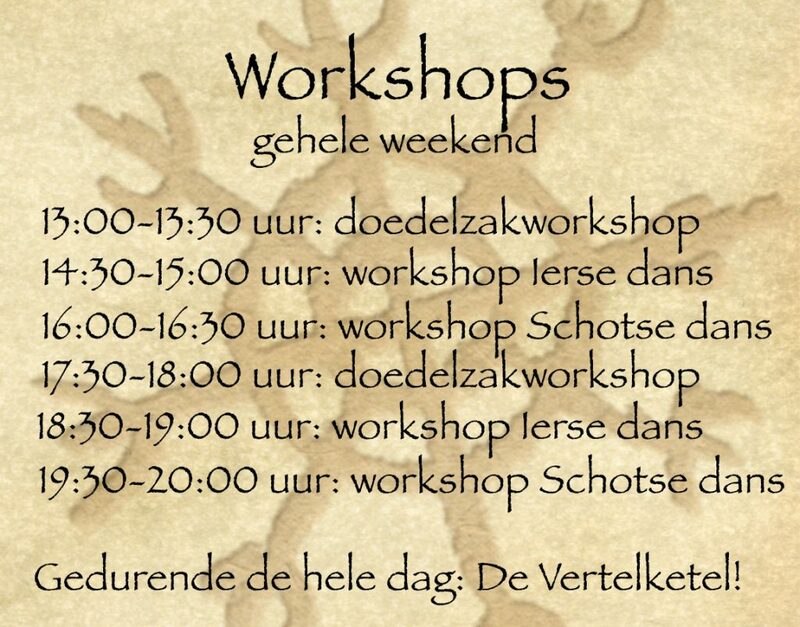 For you we have a timetable so you can see when you can follow all these fantastic workshops during Zomerfolk!